In 1922, under the sponsorship of the Whitney Studio Club, Nakian left the studio of Gaston Lachaise and, learning of an abandoned marble-carver’s studio with turntable, marble and tools, “ . . . walked in there and began carving marble”. 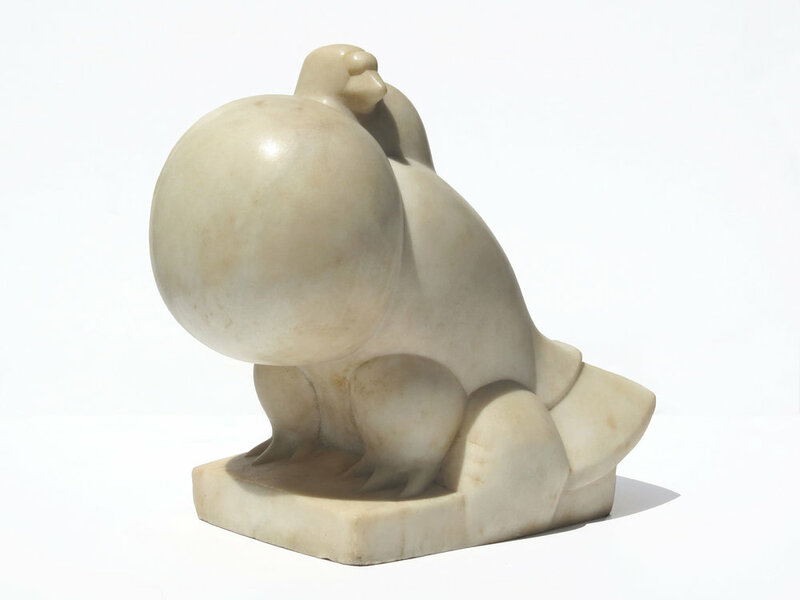 A result was Pouter Pigeon, 1923, carved in white marble. Now, after 95 years in various collections including those of Edith Halpert of the Downtown Gallery and Joseph Hirshhorn, the Nakian Family has acquired this major piece, one of the first animal sculptures that Nakian carved. Pouter Pigeon is currently included in the exhibition Birds in Art at the Stamford Museum and Nature Center, 39 Scofieldtown Road, Stamford, CT 06903, February 24 through May 28, 2018.